One of the first things I noted when I alerted you about Icona Pop almost three years ago was that the Swedish pop duo has a fine knack for turning bittersweet sentiments into deliciously hooky pop melodies. Now, three years later with a global smash hit at their hands with "I Love It," that powerful point of view continues to drive their unique brand of pop. The group's international debut album, aptly-titled This Is... Icona Pop that was released this week, is solid proof of that. The LP is a non-stop parade of hooky pop gems that will have you tapping, humming and dancing along from start to finish. I will be chatting with Icona Pop's Caroline Hjelt and Aino Jawo on Thursday evening in New York City when the duo is the special guest of my ARTIST#TALK live interview series with HP and Windows. In fact, this event marks the two-year anniversary of the series and Icona Pop are the perfect guests to celebrate it with. ARTIST#TALK launched in 2012 with special guest Tinie Tempah and many other big name stars have joined me since, including Flo Rida, Ellie Goulding, Emeli Sande and Swedish House Mafia's Sebastian Ingrosso. It's been a wonderful series that will continue into 2014 with the steadfast support of HP and Windows. It's extra special for me that I get to celebrate the anniversary with Icona Pop (a band I've supported since day one) to discuss an album that I'm popsessed with. In a way, This Is... Icona Pop feels like a greatest hits compilation as a majority of the LP's tracks have been shared by the band through social media to satisfy the appetite of fans. There are a few newer tracks on the album as well that help round out the listening experience. Most notably, the introspective "Just Another Night" that is the LP's only ballad. Masterfully produced by Benny Blanco and Stargate, Icona Pop has an opportunity to show off their pitch-perfect vocal harmonies that at times invoke memories of early ABBA. Genuinely good and powerful stuff. I'd love to take some questions for Icona Pop during Thursday's interview. 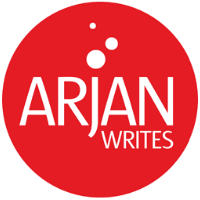 Simply tweet your question to @arjanwrites @hp @windows and include hashtag #ARTISTtalk. I will include as many questions as possible and report back on the group's answers here. If you tweet me a question per instructions above you will also have a chance to win a brand-new HP Envy X2.